We are so excited to be partnering with Gathr so that YOU can see our film at a theater near you on the day you would like to go! Invite your friends, your school or your organization! After we do our special screenings we are always asked… ”When and how can I get more people to see NOT The Last Butterfly? It’s such a powerful introduction and call-to-action film that I want others in my community to view it and become a part of The Butterfly Project!" We are thrilled to announce that we will be partnering with Gathr so that more people can get involved and see the film in theaters right in their neighborhood! Sign up now to be on the list. Once we are live and can begin setting up screenings, we'll let you know! 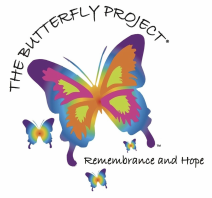 Sign up to learn more about bringing The Butterfly Project to your community! Want to learn more about theatrical on-demand? Click here!